HOPE, AR -- Former Gov. Mike Huckabee has declared his candidacy for president in the hometown he shares with former President Bill Clinton - Hope, Arkansas. It's his second run for the Republican nomination. He told supporters at his Hope rally on Tuesday: "It would be perfectly fitting that I would announce here that I am a candidate for president of the United States of America." 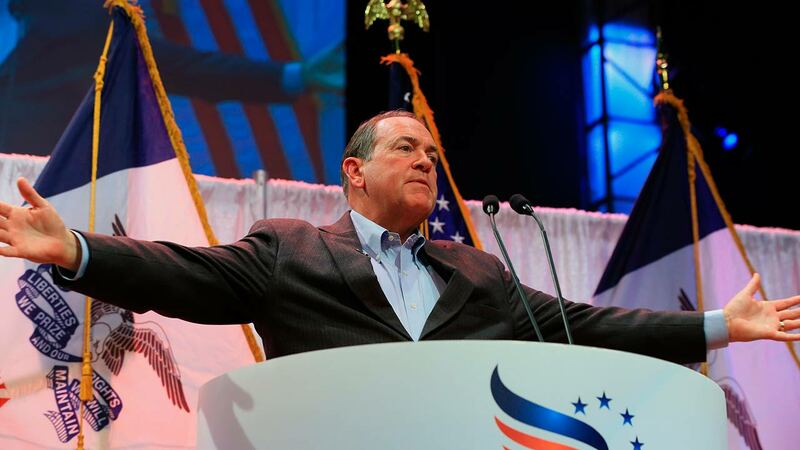 Huckabee is running eight years after his first efforts to expand on the support of evangelical Christians helped him win eight states in the 2008 primaries. The ordained Baptist minister turned politician sees himself as an economic populist and foreign affairs hawk who holds deeply conservative views on social issues such as abortion and gay marriage. He's 59. He's the third Republican this week to enter the race.